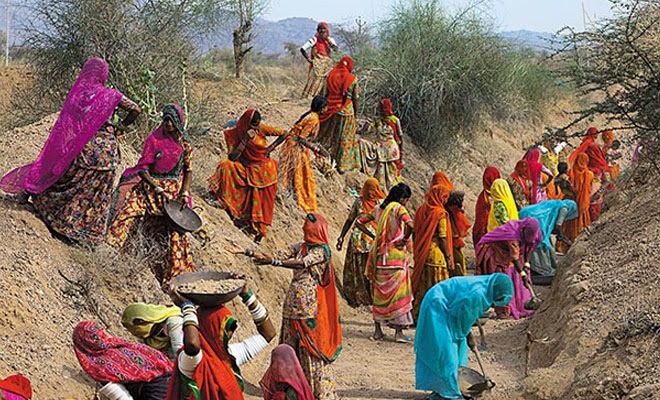 The Gujarat government believes that people with a per capita monthly income of less than Rs 324 in the rural areas and Rs 501 in the urban areas should be treated as “below poverty line” or BPL. The BPL “definition” has been given in the state government website of the food and civil supplies department. Fixing the information in Gujarati, the website (click HERE to see) adds, under this definition, as many as 24.3 lakh families of Gujarat are below the official poverty line, as against 13.1 lakh BPL families identifies by the Government of India. It adds, all these BPL families have the “right” get subsidized food to the tune of 35 kg of foodgrains. The state government “definition” of BPL in Gujarat comes nearly six months after the Government of India faced a flak for declaring that an individual above a monthly consumption of Rs 859.6 in urban and Rs 672.8 in rural areas should not be considered poor. Taking a jibe at the Planning Commission for underplaying poverty issues of this kind, Modi said in August last year that the Prime Minister’s “policy makers are not aware of commoners' plight, nor are they aware of their living conditions.” That is why people from his government “announce that we can get a meal for Rs 5 or Rs 12." Finding the Gujarat government definition of BPL “amusing”, state Congress leader Arjun Modhwadia said, "On one hand, Gujarat's food and civil supplies department says there are 24.3 lakh BPL families in the state, on the other, the state's health department, under the Mukhyamantri Amrutam Yojana, in its advertisements put the families constituting the BPL category at 38 lakh." Meanwhile, a public interest litigation filed in the Gujarat High Court has said that the Ahmedabad Municipal Corporation (AMC) has scant regard for poverty alleviation in the city. It has said, the AMC prepared 2,43,038 BPL cards, but as many as “78,039 cards have remained undelivered till date.” It adds, “This reflects that the data gathered were not authentic, and there are various 'bhutia' or bogus cards in existence.” The High Court wants the state government response on the matter within a fortnight. The PIL has questioned the criterion of monthly income of Rs 501 per person in the urban areas for inclusion in BPL list and termed it “absurd.” It claimed that AMC's list is “not dynamic in nature, and it requires regular exclusion and inclusion of members”. There have been several state government documents which have said that the state’s urban poverty and living conditions are “worse” than those prevailing in the rural areas – primarily because the slum-dwellers live in subhuman conditions. · Anyone wanting to be included in BPL should be a landless labourer and should own less than one acre of land. · The BPL survey, carried out by the state rural development department, finds that those in the 0-16 group, with those scoring 0 (zero) being the most poor and not owning any asset, primarily immovable poverty. Anyone wanting to be included in the BPL list should rely on this data.